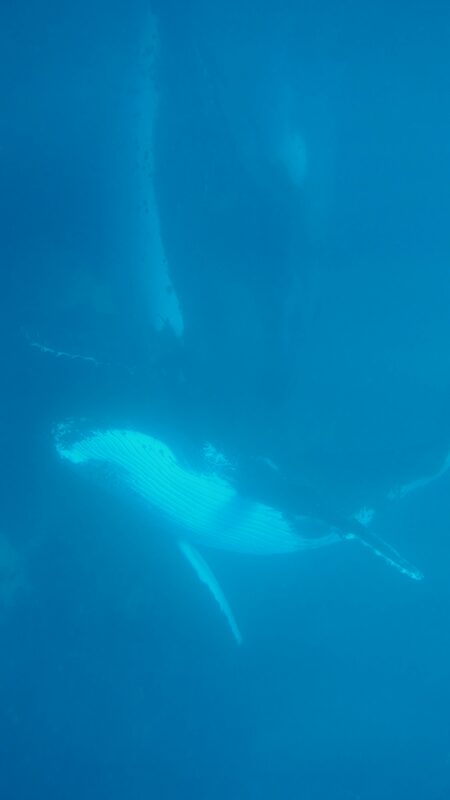 Have you ever thought about what it would be like to swim with the humpback whales?? 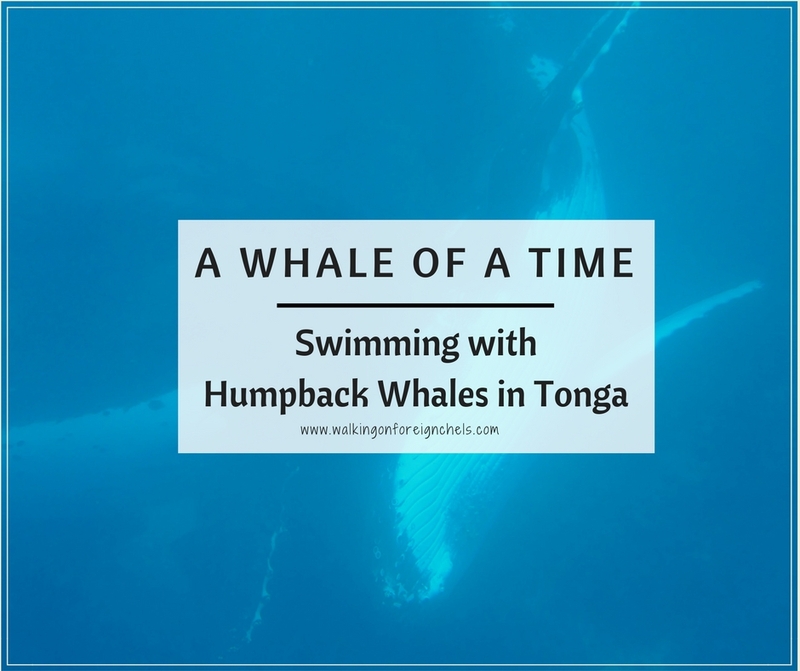 Read on to find out more about my experience swimming with them in The Kingdom of Tonga! You can go anytime of year but as with most places, there is a “best” time of year to go. If you want to stay dry and not super hot and have the chance to encounter the humpback whales, then you need to go in the dry season: May – October. The humpbacks start to arrive in June/July and they’ve usually all left by the end of October to make their journey south to Antarctica. 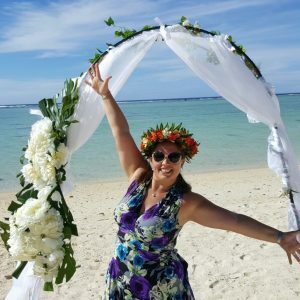 We made a last minute decision to go to Tonga, only 6 weeks to plan but it was worth it! It was winter here in NZ and we were cold and depressed. It was still a couple of months to go until our trip to Perth, Australia and we wanted somewhere fun to go. 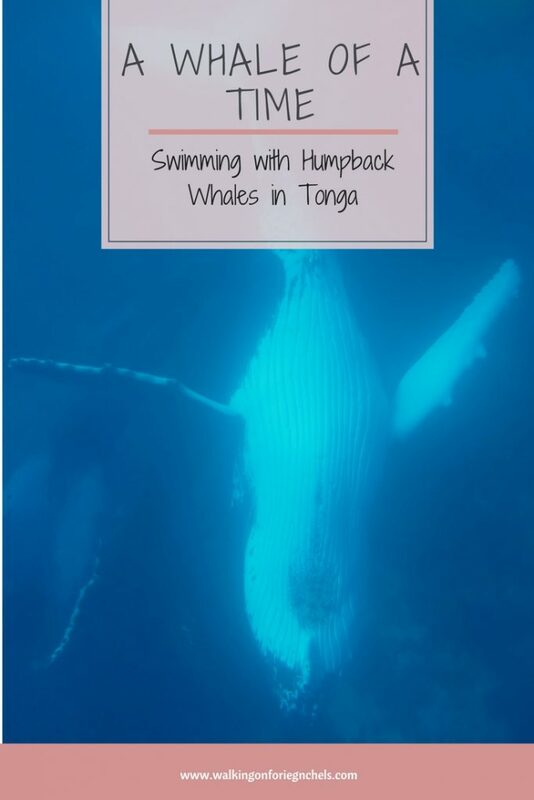 I checked out some deals online and found Tonga! 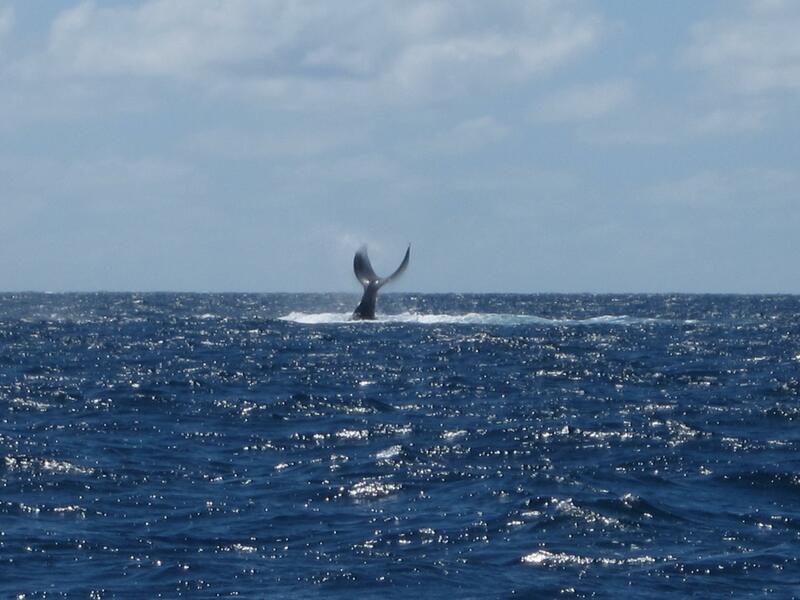 When we found out we could swim with the humpback whales, it sealed the deal for us! We spent 2 full days out swimming with the whales and had two very different experiences. Both were equally as amazing and the conditions couldn’t have been more different. Day one was awful, weather-wise. They even considered cancelling the trip but decided it was supposed to get better later that afternoon, so we’d tough it out until then. 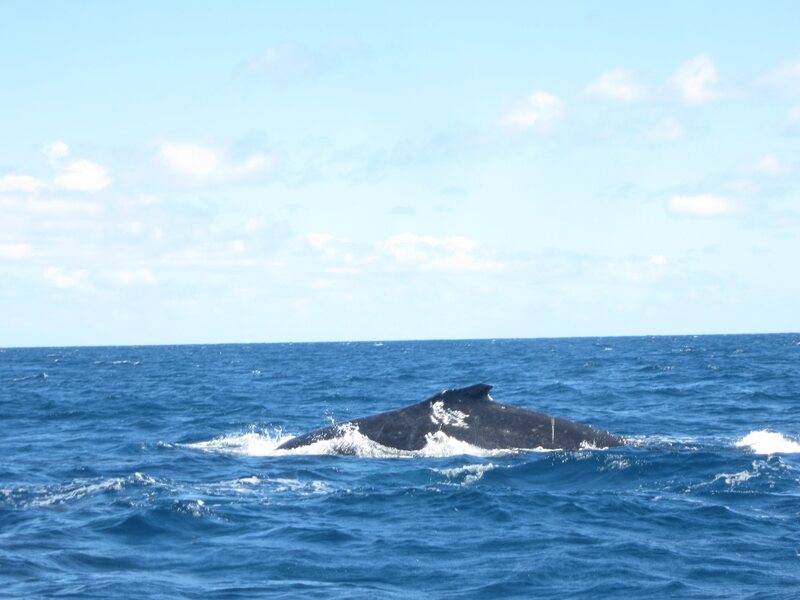 It honestly felt like hours on the boat before we spotted our first humpback whale, and when we did – OH MY GOD!! It was such an awesome feeling and one I will never forget. We started to spot more in the distance, but it was a little while before we found a pair we were able to get in the water with. They were actually performing a mating ritual where they swam in loops around each other and they looked so majestic and graceful. And HUGE!! Too soon though, they moved on with a quick flick of their powerful tails and we lost them to the gloom. Back on the boat we were buzzing with excitement and eagerly looking out at the ocean looking for more than we could swim with. We were able to get back in the water with them once more that afternoon before we had to head back into the dock, though we continued to spot them out in the water. The weather on our second day was the total opposite to the first day – sunny, dry and little wind! As soon as we’d left the harbour and passed by the small motus, we were spotting whales in the water. Some were resting on the surface or had dived down and came back up for air, and some were slapping their fins on the water to remove barnacles. We spotted about 5 or 6 different humpback whales, some with calves and we sat bobbing in the water for about an hour just watching them all go about their day. It wasn’t long before we got to get in the water with them again and swim with them. This time we were lucky enough to get in with a mother and her calf – they didn’t hang around for long but it was still an incredible moment getting to see them in the wild. Later in the afternoon, we had a couple of really amazing experiences with the humpbacks; the first one was three adult whales swimming around each other, like they were dancing. We got in the water and swam towards them and soon they were directly below us. it was an intimidating feeling to have them only a few metres below us but so thrilling to see them moving through the water together. The second incredible experience of the afternoon was had by Shane, I opted to stay out of the water this time as I was super cold and really couldn’t face getting back into cold water again! So, Shane went without me and was fortunate to watch a mother feeding her calf on the ocean floor. The calf would return to the surface every 5 mins or so and I was able to see it from the boat as it popped up to the surface. So I didn’t miss out completely (or so I like to tell myself). Humpback whale calves feed by sitting under their mother’s fin and nudging the glands with their noses to have a thick, yoghurt-like liquid released into the water which they gulp up, then they come up to the surface to expel all the air. Do you have to do a tour?? Yes! You have to do a tour and you can only snorkel with them. Divers aren’t allowed to seek out the whales to swim with but it they approach you while you’re diving, you’re all good. We went with Whale Swim, Fish & Dive who were awesome! Highly recommend them, the team are great fun, they know their stuff and they have great respect for the whales. 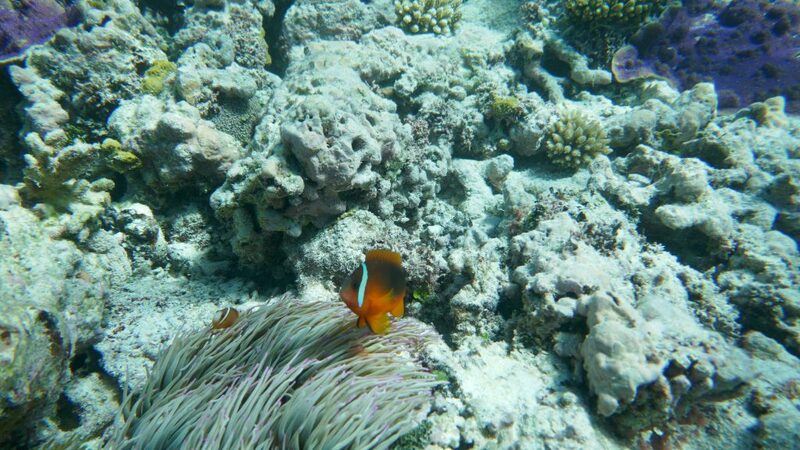 Tours also include snorkeling at one of the motus (islands) dotted around Tonga, where we stopped for lunch (also included) and had a chance to hop in the water to explore the corals and the different tropical fish. 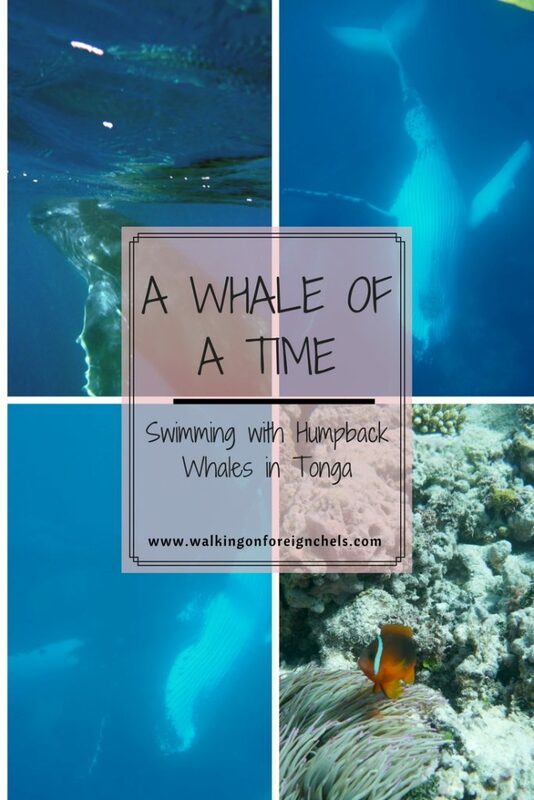 We saw many of the same kind of tropical fish that we had previously seen on a trip to Rarotonga, but there were also a few we hadn’t seen before; including two leopard sharks, a puffed up puffer-fish and a sea snake (eek! scary!). So! 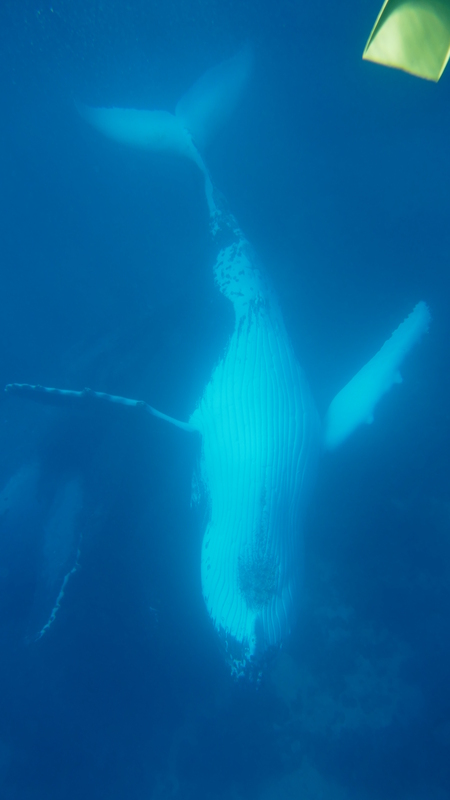 If you have the opportunity to swim with humpback whales anywhere – take it! It is one of my most memorable experiences and one we still talk about often. Nothing beats that first sight of seeing these huge, beautiful creatures begin to appear out of the gloom before you. I personally think everyone needs to see this at least once in their lives, and I look forward to hearing about your experience! Incredible photos!!! There’s nothing quite like seeing animals in their natural habitat!! I have always wanted to swim with whales but have always been too nervous! Did you feel nervous at all? Those two days of whale watching you had really couldn’t have been any more different in your pictures, too! I’m so glad you were able to do something so cool like this! Holy moly what a great experience!! I would love to do this but would probably chicken out as soon as I see how giant they are in the ocean lol. But I’ll live vicariously through your photos! Great read! wow, that’s beautiful and scary at the same time. Seems like an experience not to miss. 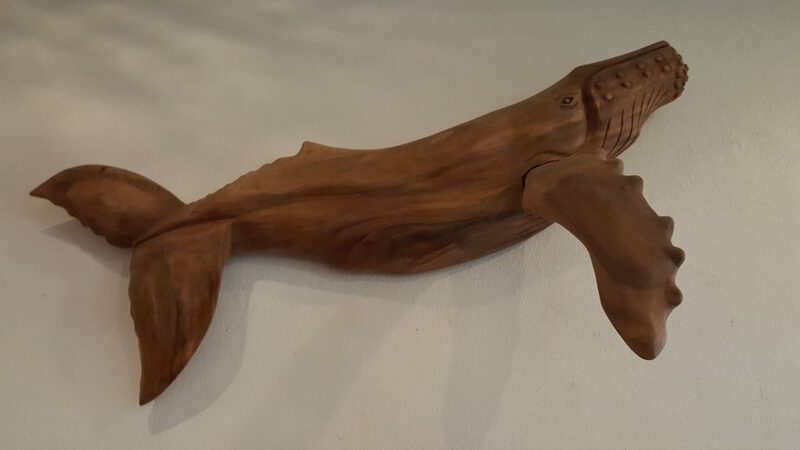 I suppose it gives a strong feeling of connection with nature. Incredible! It was definitely both those things! OMG! 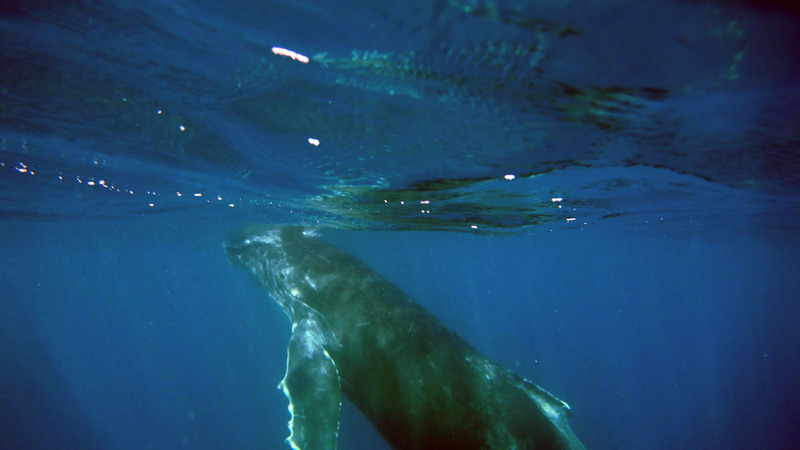 I would LOVE to swim with humpback whales. This looks like such an incredible trip. They are so incredibly beautiful and it’s lovely to get to see them out in nature. Do it if you ever get the chance! It is so incredible! Such a beautiful experience with an amazing species. Being in their natural surrounding and witnessing the whales must have been truly exceptional. I didn’t even know swimming with whales was a thing!!! It seems like such an incredible experience and something which is now very high on my bucket list. I’ve actually been looking into places to visit in the Pacific in advance of my move to NZ this year, and now I think Tonga is definitely a firm favourite.